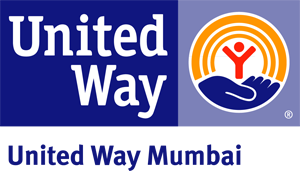 Who are unorganized sector workers? 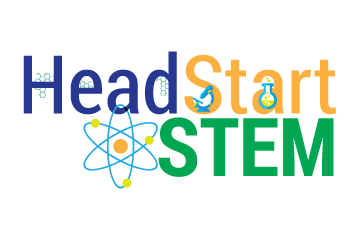 The unorganized sector is a unique population group in urban areas. 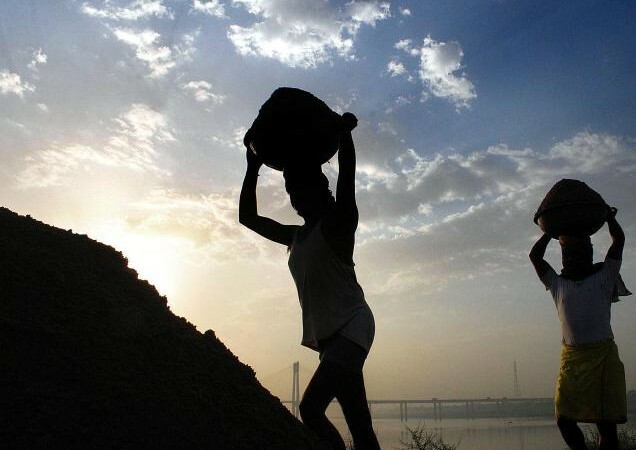 The group comprises construction workers, truckers, leather industry work, weavers, artisans, those working in saw mills, those involved in preparation of food items for wholesale, workers in recycling units, rag pickers, workers in scrap markets, handicraft artisans, handloom weavers, dabbawalas (lunch box carriers)... the list continues. 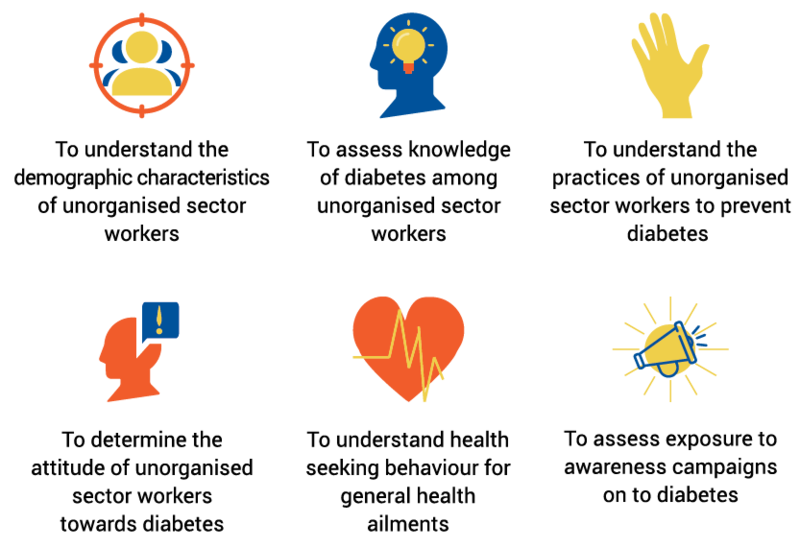 Whom does Diabetes affect? How can it be identified? 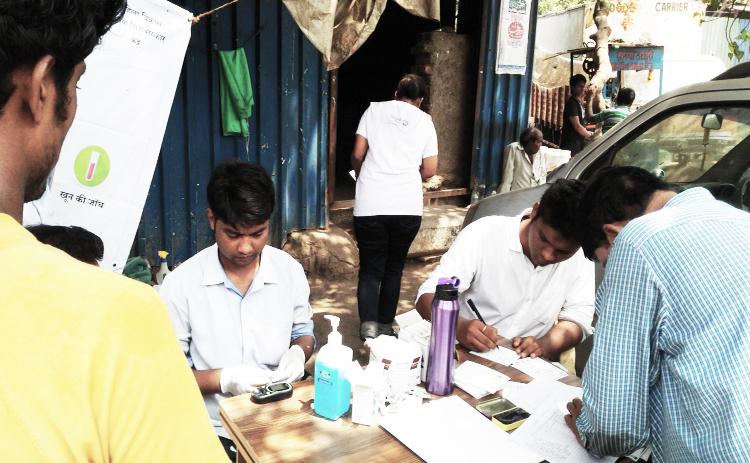 Lancet (2017) validates further that Diabetes is becoming common among the urban poor. Early diagnosis of Diabetes is a must, as the person can be symptom free for a long time while the condition might be progressing. Diabetes later affects almost every part of your body, including kidney, eyes, and nerves! 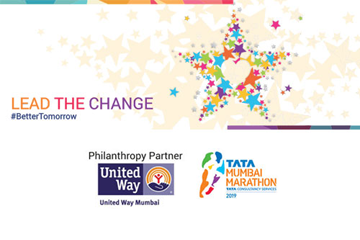 What does United Way Mumbai do to tackle Diabetes? 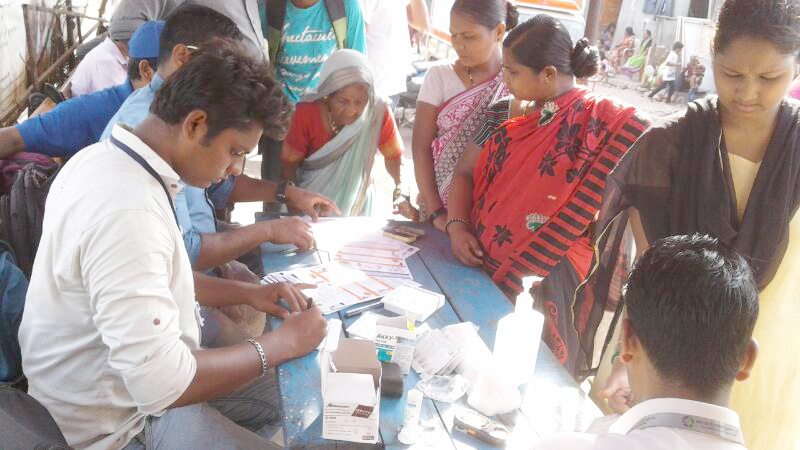 The "Live United Against Diabetes" programme is being implemented with the support of Bristol-Myers Squibb Foundation (BMSF). 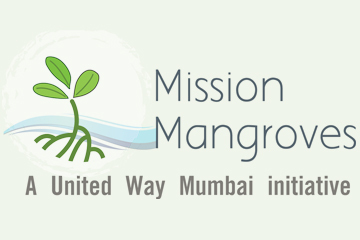 To know more or implement such a project in other potential communities, you can write to us here. Ahmad, 44 years old, is a daily wage labourer at the Kurla scrap market in Mumbai. 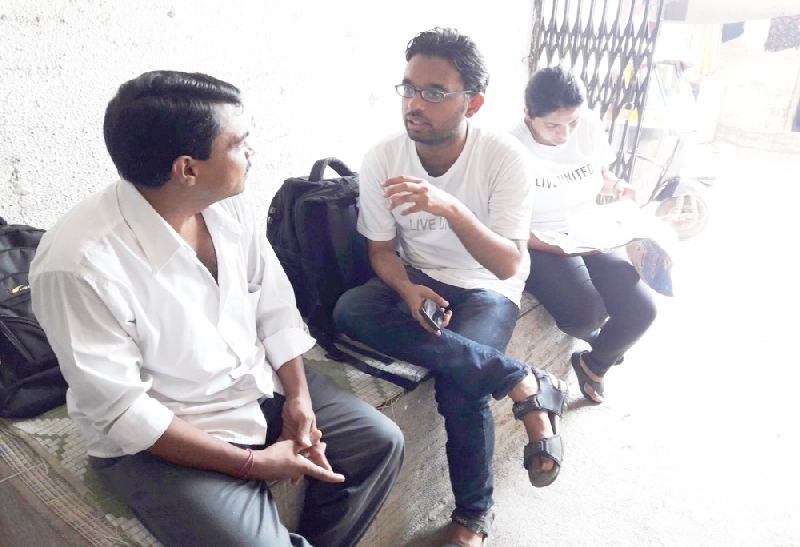 Ahmad is a native of West Bengal, but he migrated permanently with his wife and 3 daughters to Mumbai. Ahmad earns a meagre INR 200, a day. His relatively thin body structure and physically demanding work convinced him that he was at no risk of developing diabetes. He was wrong. His blood sugar level was 440 mg/dl, when the normal range of glucose in blood is 70-140 mg/dl. Initially, Ahmad was in denial, but further tests at the Rajawadi public hospital confirmed that he was Diabetic. As a family man, he was scared and worried about his and his family's future. 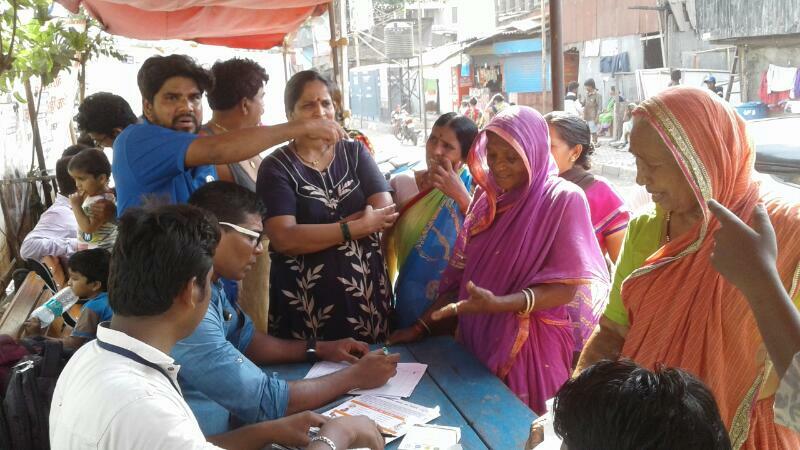 Gradually, he accepted that he was Diabetic and was provided with details about his condition. 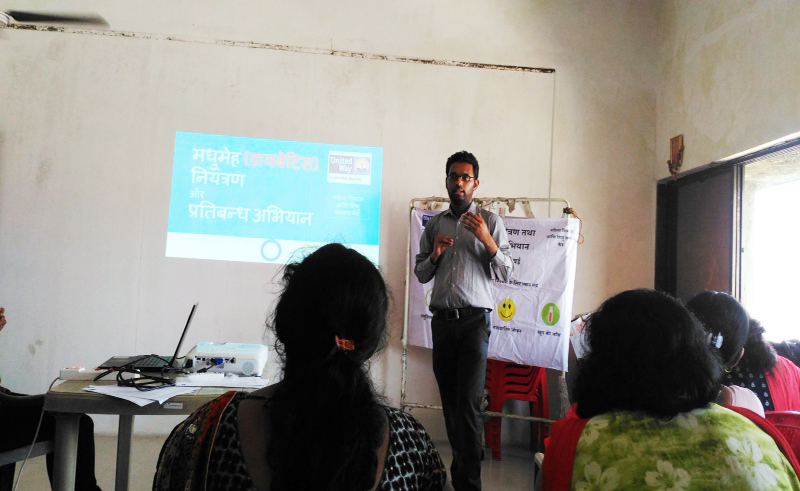 He came to understand the causes, symptoms and preventive measures that he needed to take. Today, Ahmad's diet is well planned and based on what he can afford. He is motivated to exercise in a relaxed state of mind. Ahmad's daughter reads out the Diabetes education pamphlet for him and his wife reminds him to take his medication daily. 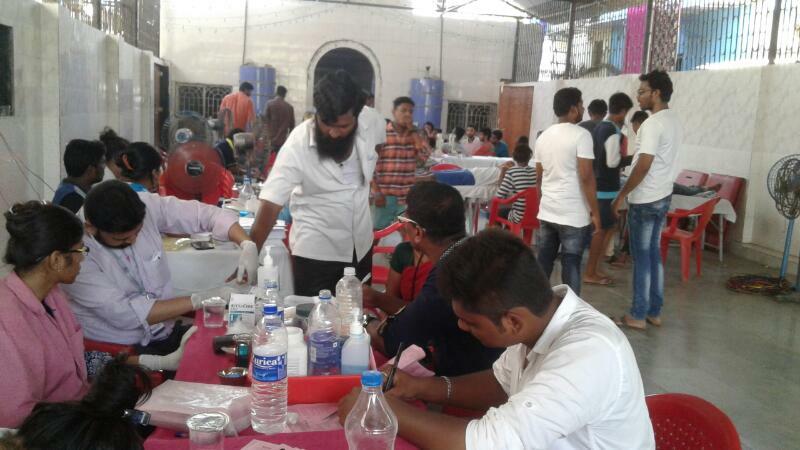 This is the case of Ahmad's battle with Diabetes & there are many such Ahmads working in the unorganized sector in Mumbai, who are sure that they cannot develop Diabetes and are unaware of their condition.  United Way Mumbai tests and tracks workers from the unorganized sectors. 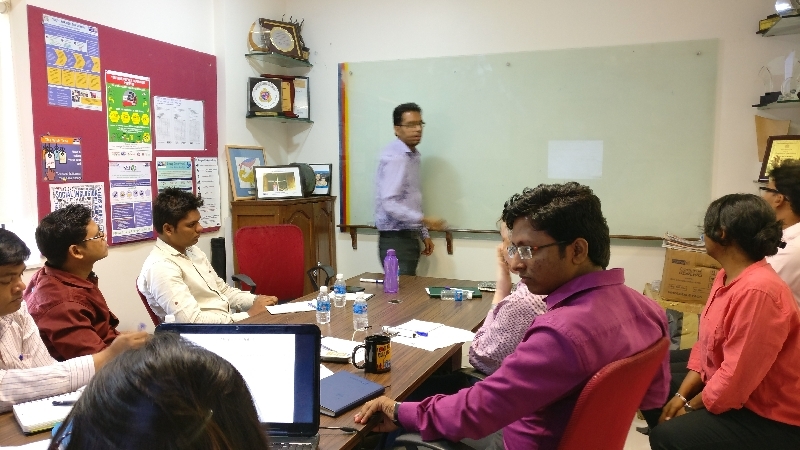 The "at risk - individuals are referred for confirmatory tests and further home visit sessions are organized for them and their families. 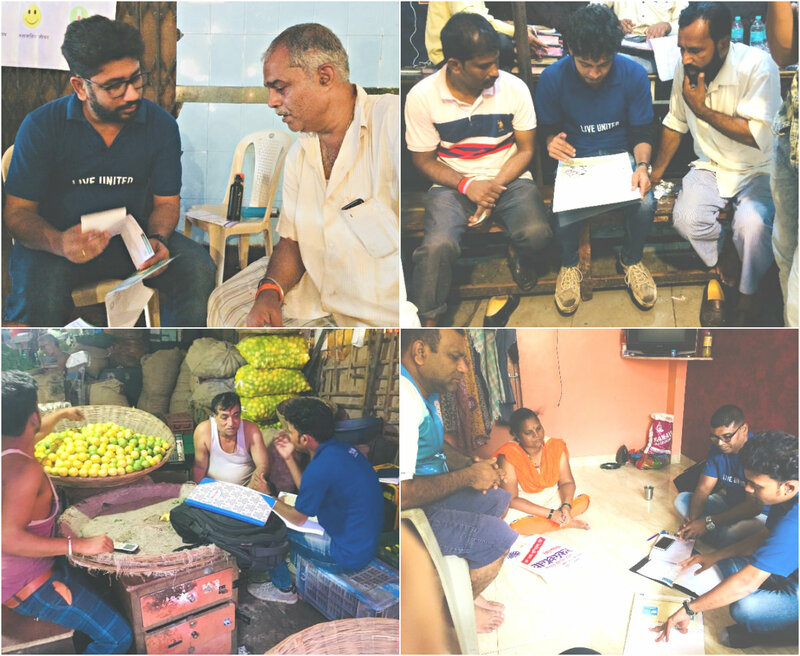 Home visits ensure provision of customized life-style modification messages. 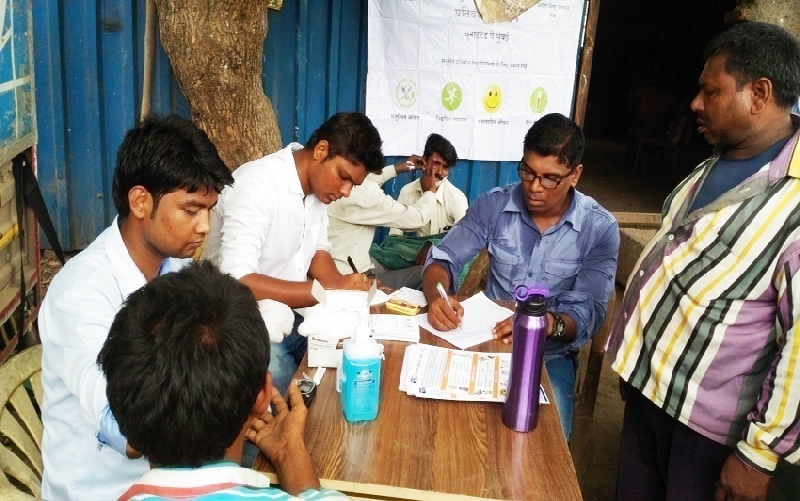 The UWM team organized a diabetes testing and education camp for the Matadi Workers at Vidyavihar. 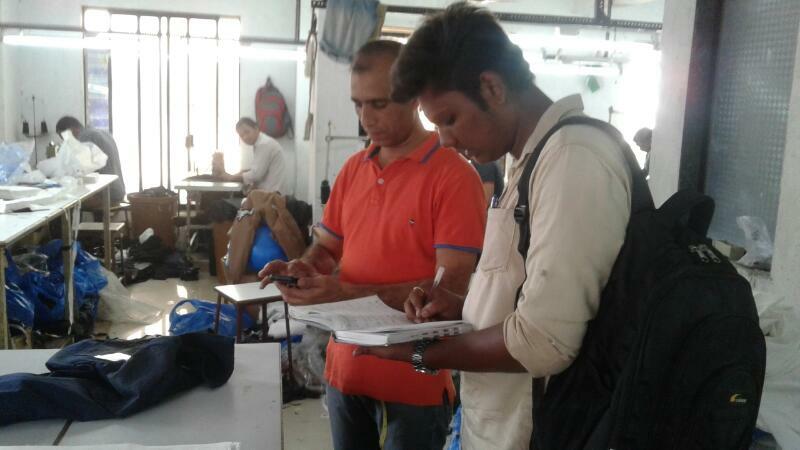 132 workers were tested and educated on diabetes, out of which 4 workers were found to be at high risk for developing the condition. 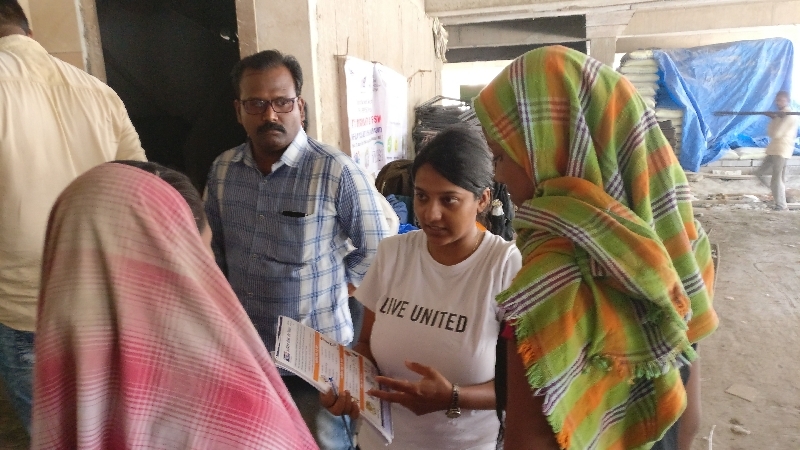 United Way Mumbai began its commemoration of World Diabetes Day 2018 with a week-long diabetes awareness campaign, comprising initiatives like a diabetes testing and education camp for workers from the informal. 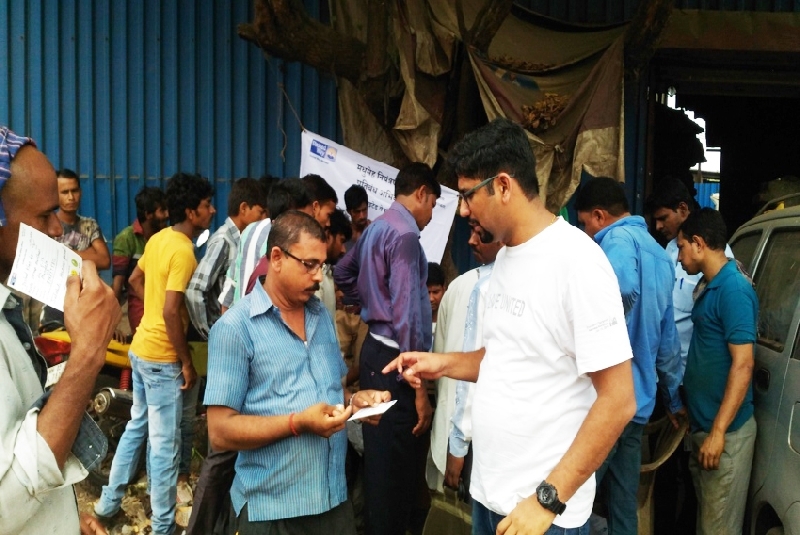 279 workers including vegetable, cloth, meat sellers, drivers and loaders were tested and educated for diabetes. 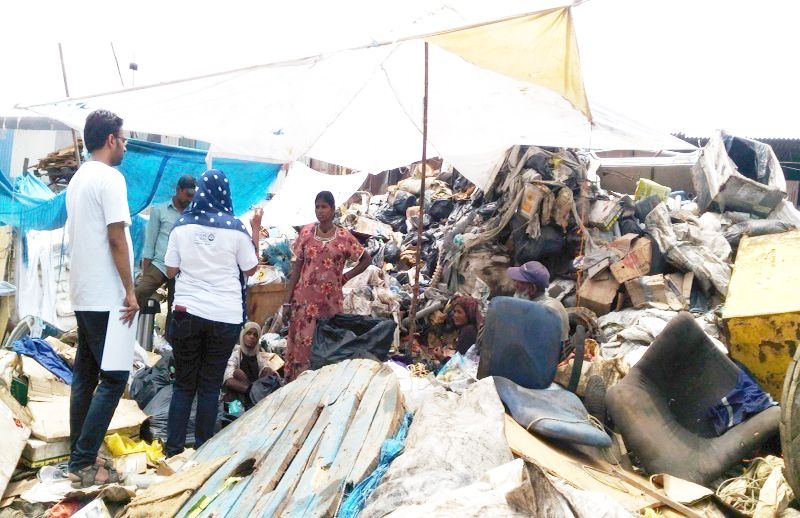 23 workers found at high risk for the condition. 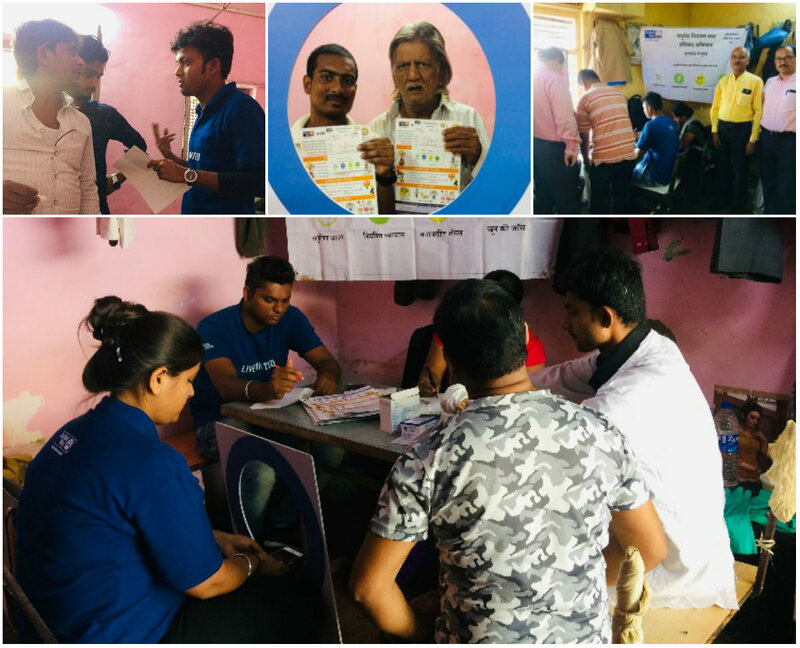 The project team conducted home visits for all those who were tested at the health camps and diagnosed as having high risk of developing diabetes. 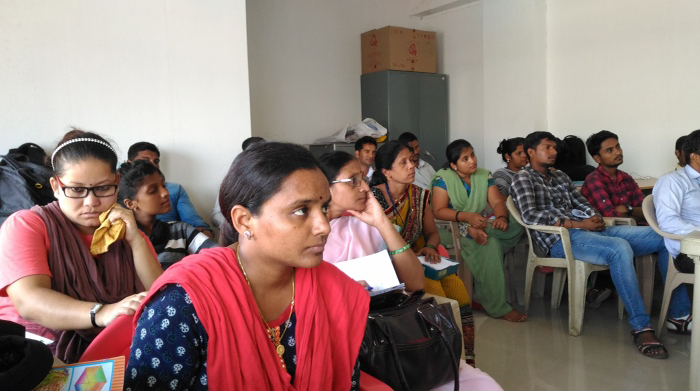 The high risk groups and their family members or colleagues were counselled on key aspects of diabetes including risk factors, signs and symptoms, necessary lifestyle modifications and foot care. 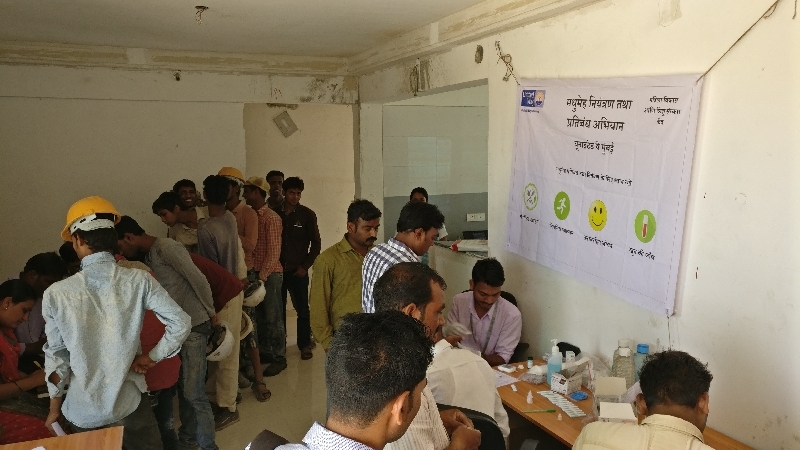 UWM also organized a diabetes testing & education camp for the fish worker community at Bhaucha Dhakka, where 390 workers were tested and educated and 22 were found to be at high risk. 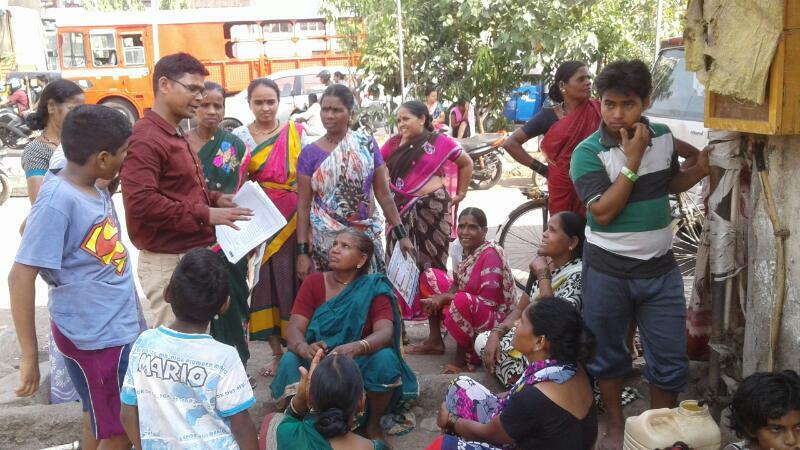 These workers were referred to J.J. Hospital for further treatment. 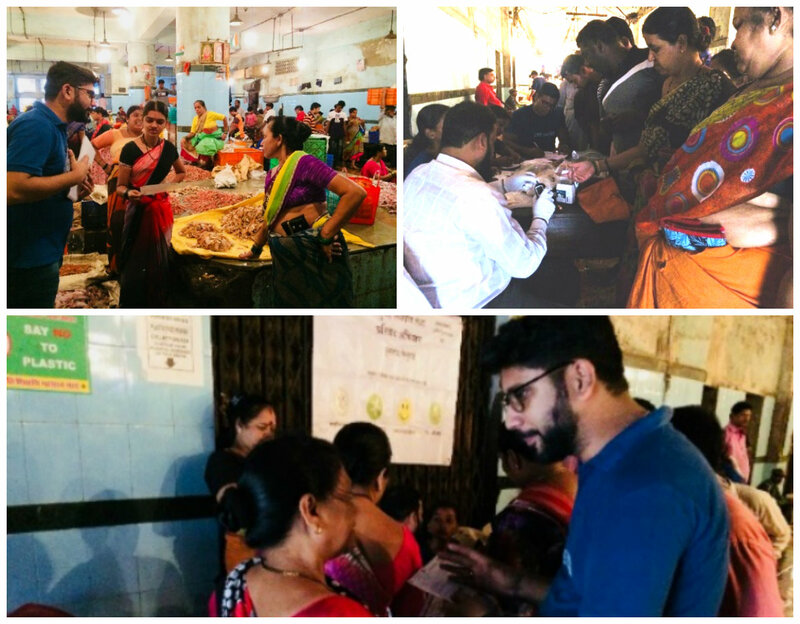 UWM and NGO partner, Mahila Vikas ani Shishu Sanskar Kendra (MVASSK) received permission from Assistant Commissioner of MCGM Market Department to conduct a diabetes testing & education camp at MCGM Market. 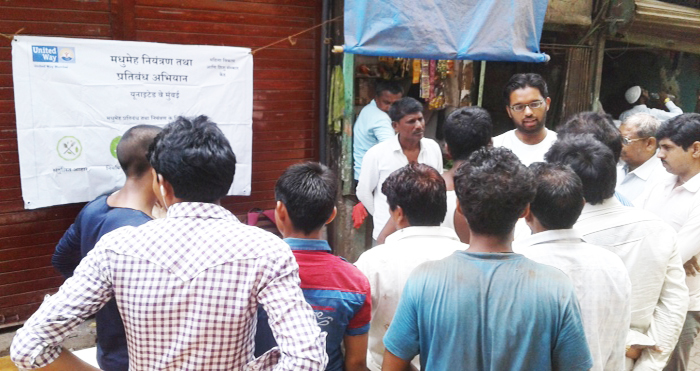 The team organized the camp at Chatrapati Shivaji Maharaj Market for the workers from fishery related professions. 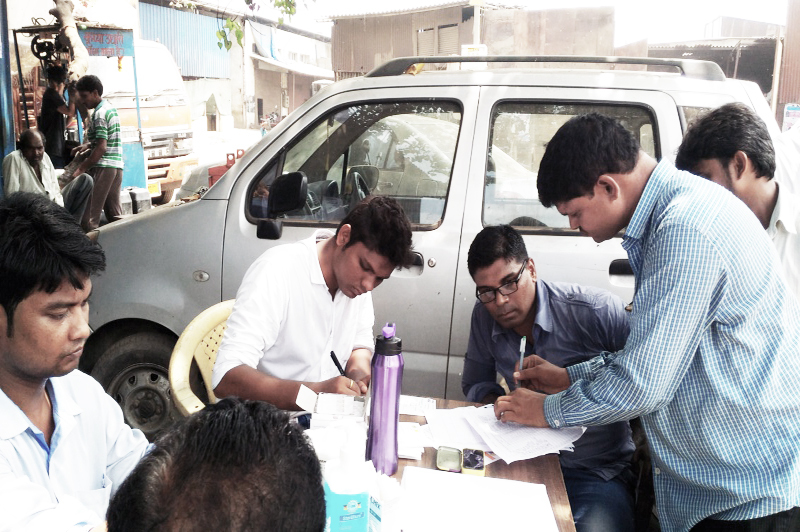 269 workers were tested and educated for diabetes, out of which 15 were found to be at high risk for diabetes. 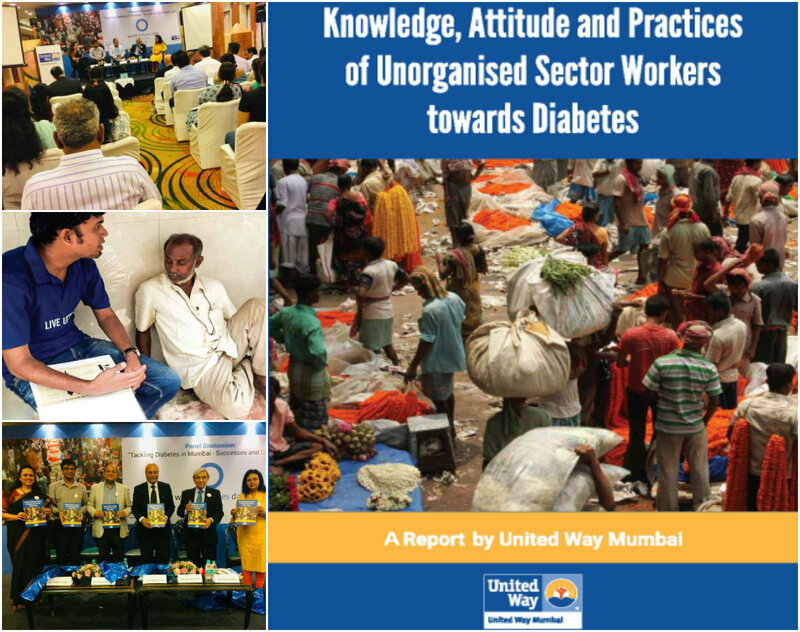 833 unorganized sector workers have been trained & tested, since March 2017, till date for Random Blood Sugar check. 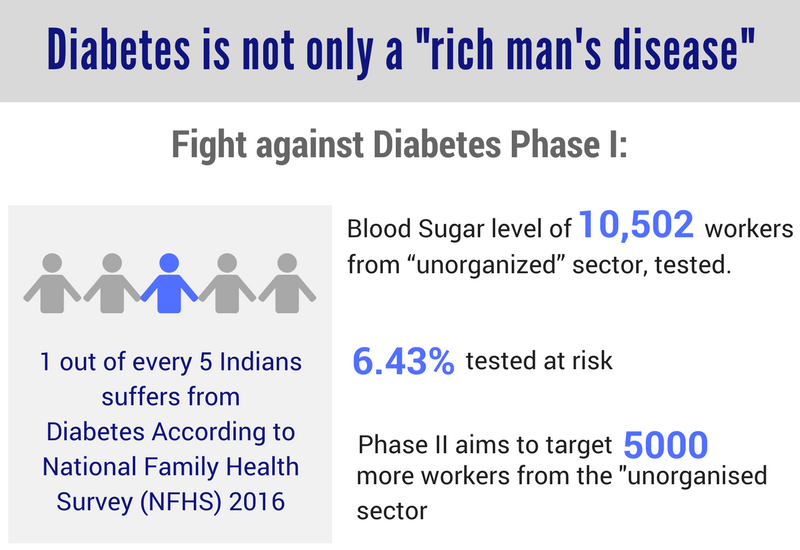 110 workers were found at risk of Diabetes. The "at risk� individuals are being referred for confirmatory tests and further home visit sessions are organized for them and their families. 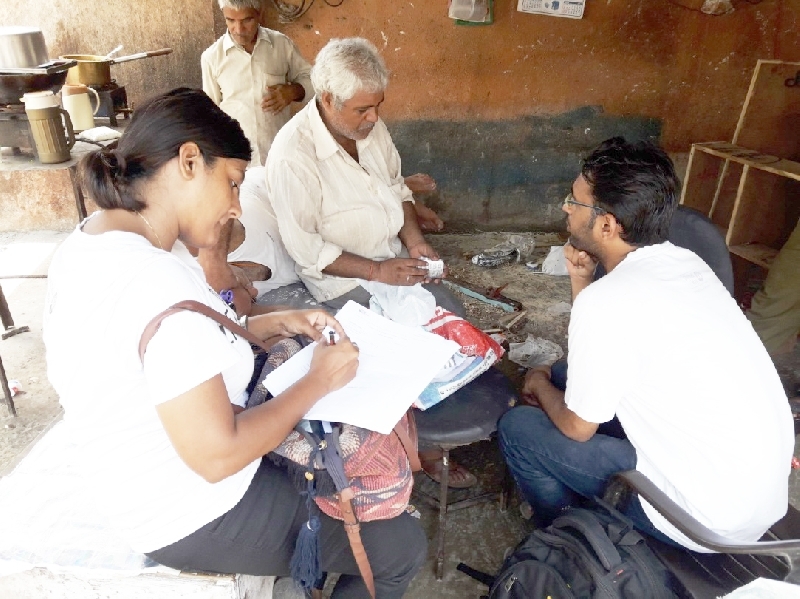 Home visits ensure provision of customized life-style modification messages.